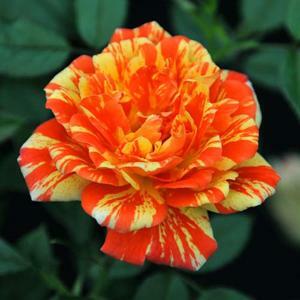 Small Patio or border bush rose. Double, yellow and orange-red striped flowers. Slightly scented.